A decade ago, a festival in Austin, Texas, developed a reputation for discovering the next big tech startup. In 2007, SXSW was the launching pad for the once tiny micro-blogging site called Twitter. Two years later, social location platform Foursquare became the talk of the show. But the festival, originally known for deal-making, fundraising and app launches, has evolved. In fact, it hasn't had a breakout app since Meerkat went viral in 2015. 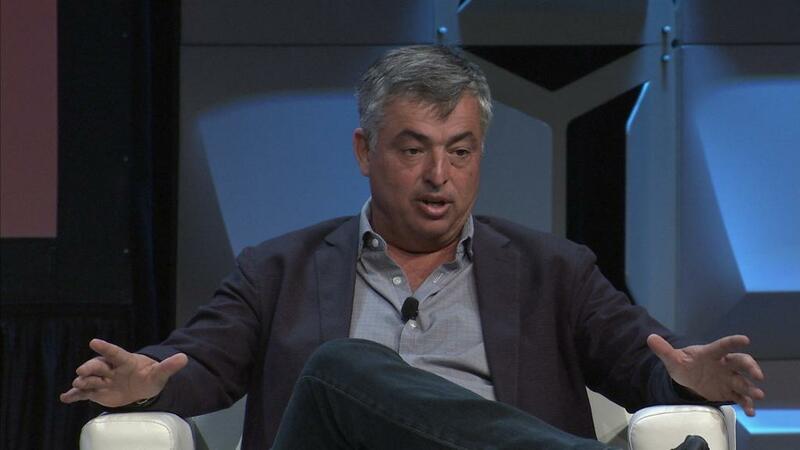 This year, the conference -- which wraps up on March 17 -- reflected a changing tech landscape. Panelists tackled major issues like cybersecurity, sexual harassment, healthcare, surveillance, and the responsibility social platforms have to place checks on their power. During a panel with CNN's Brian Stelter, Facebook's head of news product, Alex Hardiman, defended the company's role as a publishers' friend, despite an embarrassing year in which the company grappled with fake news and foreign operatives manipulating its platform. "For us, we historically within Facebook did not distinguish between different types of news, and that was problematic," Hardiman said. "Flattening the news meant you couldn't always tell the difference between something that was trusted and credible, versus something fraudulent." Meanwhile at a different panel, entertainment attorney Nina Shaw, cofounder of the Time's Up campaign against sexual harassment, said the #MeToo reckoning will never be over, even though many men may be hoping to wait it out. "I think there's a bunch of guys waiting for this to be over. It's never going to be over," she said. The current political climate was a popular thread among panels, too. Just like previous conferences, media, entertainment and politics were central to SXSW programming. This year, many of those conversations focused on fake news and the role Russia played in the 2016 US election. Senator Mark Warner discussed cybersecurity and Russian meddling, and said the US is "woefully unprepared" for cyberattacks. 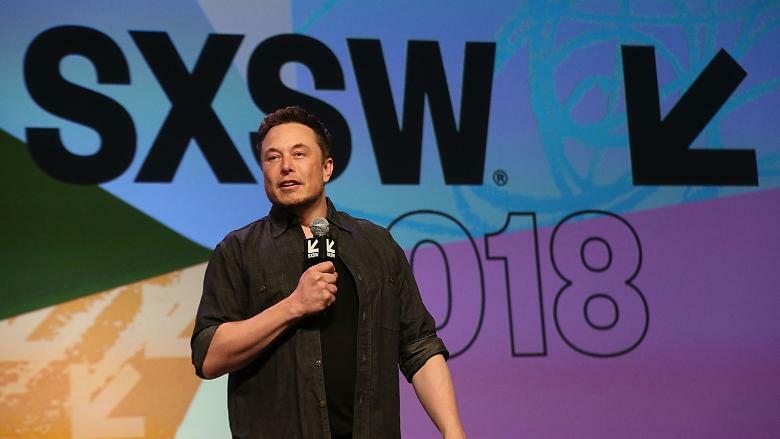 Elon Musk speaks on stage during the Westworld Featured Session during SXSW at Austin Convention Center on March 10, 2018. There are still parts of the conference that embody the reputation of years past: Brands take over bars and restaurants, offering free barbeque and cocktails to people who are willing to listen to a marketing pitch. It still attracts big name tech players, including Elon Musk who gave two surprise talks over the weekend, and Salesforce CEO Marc Benioff, who took selfies with all his friends at parties. The festival also added a health and well-being expo this year, showcasing startups such as Alpaca Market, a vending machine that dispenses healthy food options such as salad and yogurt parfaits, and myLABBox, which sells at-home STD testing kits. Jim Rudden, chief marketing officer at Austin-based social media management software firm Spredfast, told CNN that SXSW now feels more like "a meeting of the minds." "In 2007 it was peak startup mania," he said. "Today, companies like Netflix and HBO, along with technologies like VR and AR, have blurred the lines between technology and entertainment." According to Kimberly Bryant, founder of Black Girls Code, SXSW had a different feel this year for people who don't often see themselves adequately represented in tech. "This year's conference was a pleasant surprise for me in terms of the visible representation of both women and people of color as attendees," Bryant said. "I've seen a consistent uptick in diverse participants over the past few years and this year seemed to stand out for me." The conference included events led by diverse organizations focusing on underrepresented groups across the industry, including a multi-day event hosted by Historically Black Colleges and Universities, and the Hustle House, a series of events for Black and Latinx entrepreneurs. Black Girls Code also hosted a virtual reality workshop as part of the main conference. But Bryant said events where people of color are still "vastly underrepresented" include pitch contests and hackathons, which are opportunities for startup entrepreneurs to put themselves in front of potential investors. "Increasing inclusion is something we've been working on for the better part of a decade, and it is important that the event represent people from all walks of life," a spokesperson for SXSW said. SXSW has previously faced issues with sexism and diversity. In 2015, SXSW was forced to confront its issues after it canceled, then reintroduced, discussions on online harassment and video games. This year, the festival featured 14 top keynote speakers -- seven men, and seven women. Last year, the conference attendees were 54% male and 45% female, a spokesperson said. The organization said it didn't have accurate statistics on racial demographics. Two other major tech conferences have not made as many visible strides. This year, the Consumer Electronics Conference in Las Vegas had no female keynote speakers, and the RSA security conference in San Francisco this spring has just one. 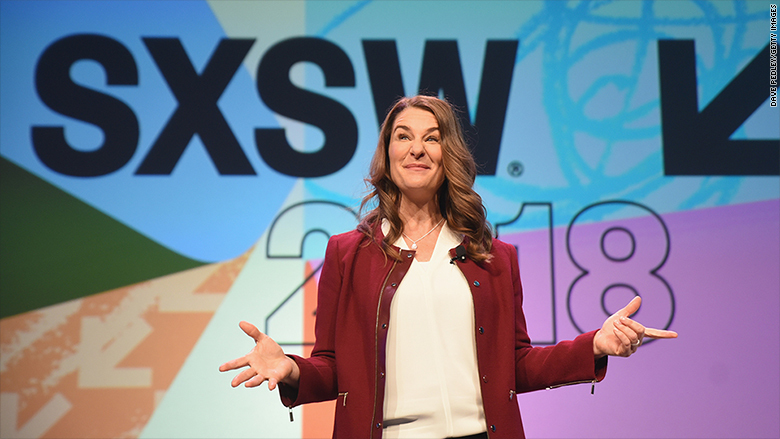 According to SXSW's requirements for three to four-person panels, talks must include gender and racial diversity, and diversity in "thought and opinion," as well as differences in location and employment of speakers. These requirements have been in place for at least seven years. But improvements are still needed. For example, this year a panelist had to change a panel title on blockchain technology after people pointed out the name "Don't Sweat The Tech: Mom Can Use Blockchain Too" was sexist. Meanwhile, an unofficial SXSW blockchain party had separate tickets for men, women, and models. SXSW, like many tech industry trade conferences, is not perfect. But while others remain focused on supporting products, SXSW seems to have shifted its efforts toward supporting people. The festival may no longer be about launching the next Twitter, because it's now more focused on conversations about the role companies like Twitter play in our lives.